For your dream sailing holiday in Turkey - Fethiye Catamaran Charters. 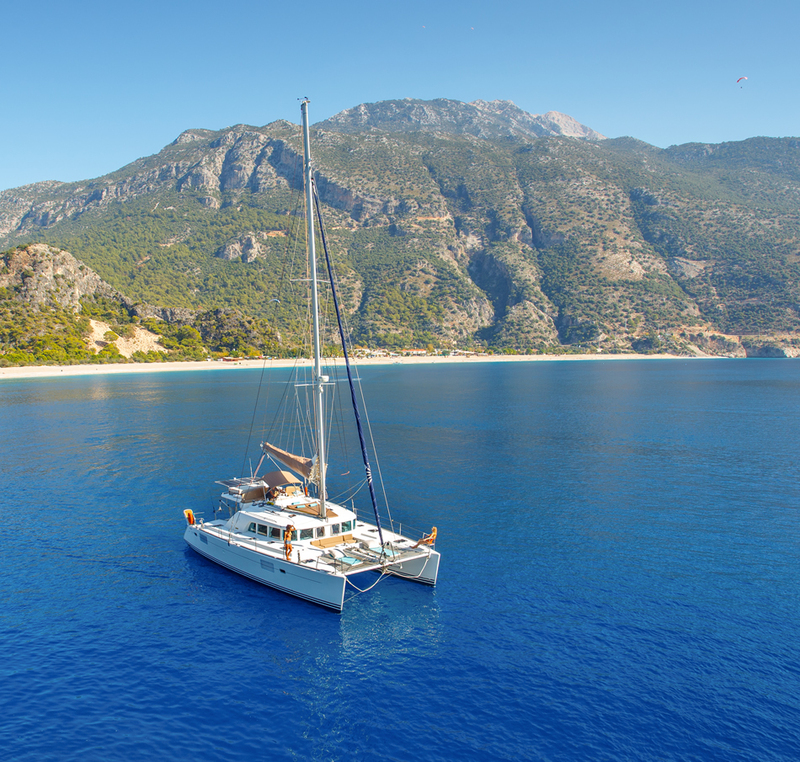 Looking for a sailing catamaran yacht charter from Fethiye? We provide flexible crewed sailing catamaran charter holidays from Ece Saray Marina in Fethiye. Whether it be a days sailing, two days - overnight sailing holiday charter or more we will design the perfect charter itinearary according to your requirements. A days sailing charter from Fethiye to the nearby bays and beaches with several swim stops, a lunch on board, variety of water activities ranging from wake boarding to stand up paddling or simply lazing under the sun. Fethiye bays perfect for sailing holidays in Turkey. Fethiye in Turkey ideal sailing conditions for everyone. Our base port in Fethiye - Ece Marina.